This is one of those fancy features that you would definitely like to add to your blog. 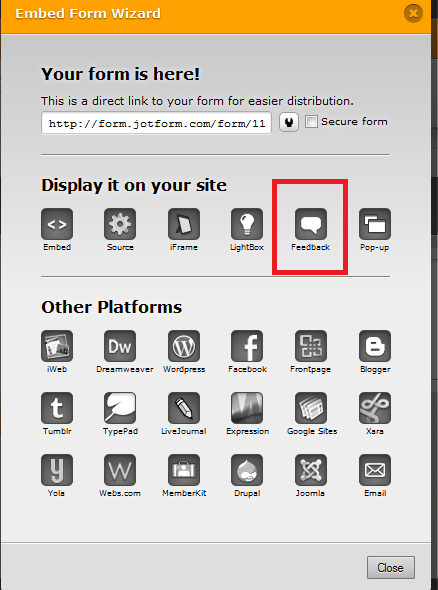 The feed back button on left is by JotForm and is surly one of the best out there. There are infinite ways to customize your forms. It allows you to add any type of form to your blog and i must say i got impressed with this tool. 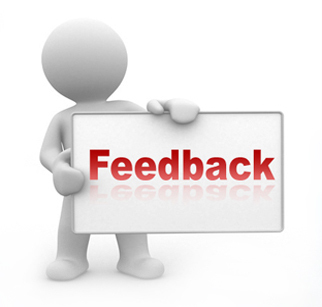 The draw back is that you can only receive 100 feed back email in a month with the free plan. Though you can upgrade to get more flexibility. Few days back i posted Add a Lightbox-Style Contact Form to Your Blogger Blog. You can read that too. I cant wait to get started. So lets get started rock on! 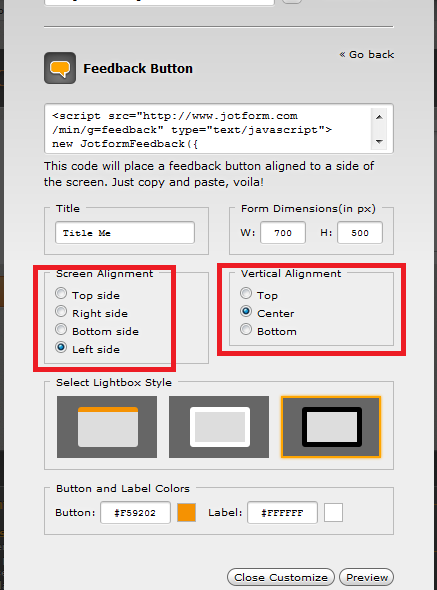 Click 'New Form" Button at the top. There are bunch of options to play with. I wont go into detail of Design as that depends upon you that how you want it to look. But the basic things like email notification, a thank you page (once you submit the feedback it will take you to the thank you page). Go to Setup & Embed >> Email Alerts. Now its on you whether you want to send a person an email confirmation or an email notification, so that you know who gave feed back. I would recommend a notification. After going in the "Thank You" page you can further play with options. 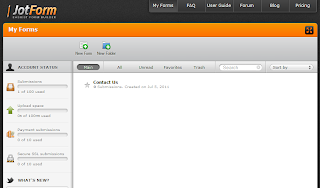 Now that you are done customizing your form, you now have to add it to the Blogger. Now to add it to your blog and to make sure that it appears as mine on left, go to "Embed Form" and a window will appear as on right. 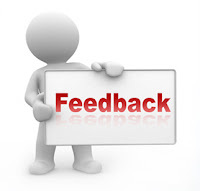 Choose "Feed back" button and then make the settings as shown in the picture below. Then finally copy the code. And paste the form code just above it. Now click Save Template. Thats All! Hope that was easy and interesting. I personally love this tool and definitely would play with it in the future.